Alesya Bags « Stitch Design Co.
Over the past year, we’ve been working closely with Alesya Opelt, designer for Alesya Bags to brand her new stylish line of women’s laptop bags. When we first met with Alesya she had a great idea and a impressive prototype in hand. We were instant fans of her product. Answering the call for a feminine, functional laptop and all-the-other-essentials carrier, her bags fit up to a 15” laptop, any tablet or e-reader. 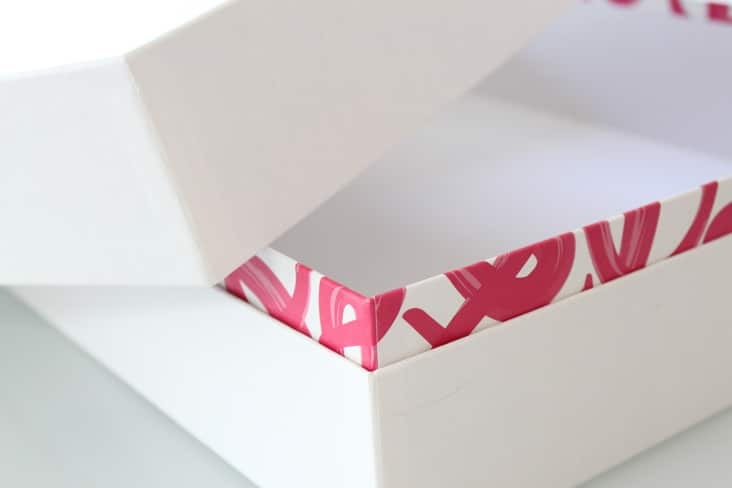 We worked with Alesya to design her logo, website, bag tags, thank you cards, custom box, tissue and packing tape. Charlotte Elizabeth Photographer (also a Stitch client) shot the stylish bag images used on the Alesya Bag website and included in this blog post. 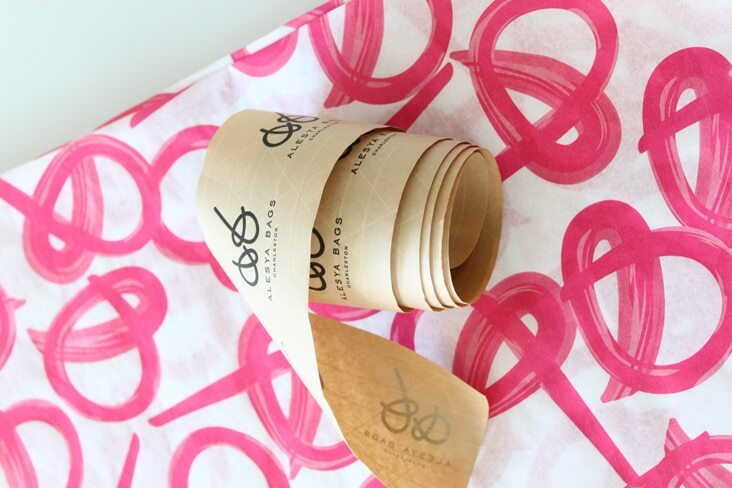 4 Comments > Tags: Alesya Bags, Charlotte Elizabeth Photographer, Stitch Design Co.
i love her logo. especially how it’s sort of a symbol, a letter, a swoosh (is that a word?) all at once. perfection. 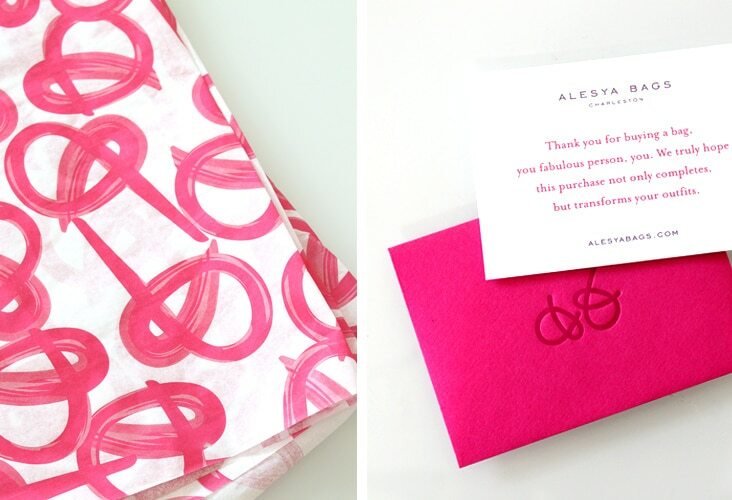 I’ve had the pleasure of receiving my Alesya Bag and I was so stunned by the beautiful branding and packaging. It’s sooo enduring and now etched in my mind. After all, the beauty rests in the details. Great job to the whole team! As a consumer, I truly appreciate when a company shows appreciation for my business by putting care and investment in their packaging. I can’t wait to purchase one of these! Bravo!